Nix got started with marketing and sales when he was 4 years old. He would ‘steal’ ring boxes / jewelry boxes from his aunts and put a variety of candies inside. He would then go out and offer these candies to his neighbors. What normally costs P1 he sells at P50-100 a pop. At 16 yrs old, he felt the need to do something that would help his family earn more. He tried applying at BPO companies in the Philippines but every company turned him down because he was too young. What he did next, changed his life completely. He went on Google and typed the 5 magic words: “How to Make Money Online”. From there he found content writing, which he was already good at, having been able to win essay writing contests in school, he found it easy to do. After scouring through various internet marketing forums, Nix got his first client and was paid a very low rate ($1.5 per 500 words). Despite this, he kept delivering for his client, who then decided to scam him and run with his money. Instead of quitting and crying about what happened—Nix someone who tried to scam him after finding out that he was about to ditch him and the client was someone who just outsources his work to others. Nix found out that he can deal with bigger clients directly and could even start offering his own content services. After a year, Nix started ELITE Content, his own content writing and SEO services company. He had himself, 2 Virtual Assistants, a team of writers (some were his classmates, some were from different parts of the world), and an SEO team based offshore. Amazingly, Nix did all this while juggling college. He was making good money and continued this business until 1 year after graduating college. His family would tease him saying that he needed a “real job” so he could learn how to interact with people. He then took a marketing job at the biggest fashion retail company in the Philippines where he used his digital marketing and social media experience to help them grow. Despite having a ‘day job’, Nix continued doing marketing consulting for clients. He also pivoted and discontinued his content writing and SEO service as he focused on social media marketing since 2012. Despite having challenges entering a completely new industry, Nix persevered and did his best to land international clients for his social media services. Unknowingly, Nix was able to land up-and-coming rap artists through an online job site where he did some social media and guerilla marketing for them. Eventually, Nix found himself leading marketing for a local tech startup, Sprout Solutions, who is one of the fastest growing tech companies in the region listed in the Entrepreneur magazine. As he continued on his journey, he unconsciously built up a following because he shared his results and experience on a daily basis through his Facebook status updates and Facebook group. It was at this point where he would get dozens of messages and emails every day asking if he had a course or program so they can learn more from him. After getting so much demand, Nix decided to start Social Media Academy on 2017, together with Melissa Profeta, who was also a passionate social media marketer. Starting with nothing but a simple idea, Nix quickly wrote up a curriculum and pre-sold a course that didn’t exist. He posted it in his Facebook profile, which has accumulated thousands of followers who are eager to learn marketing from Nix. In less than 24 hours, he already sold close to 100 slots for Social Media Academy—and in less than a week, they were able to secure around 180 enrollees with only 2 organic posts on Facebook. Social Media Academy has grown since then. Celebrating its 1-year anniversary this September, SMA has now been a hub for close to 1,000 marketers, freelancers, and entrepreneurs who are leveling up their skillset and income through social media. SMA opens its doors once every quarter for aspiring marketers and entrepreneurs who want a No BS approach to learning social media marketing and getting direct mentorship not only from Nix, but also from guest lecturers who are top marketers in the industry as well. 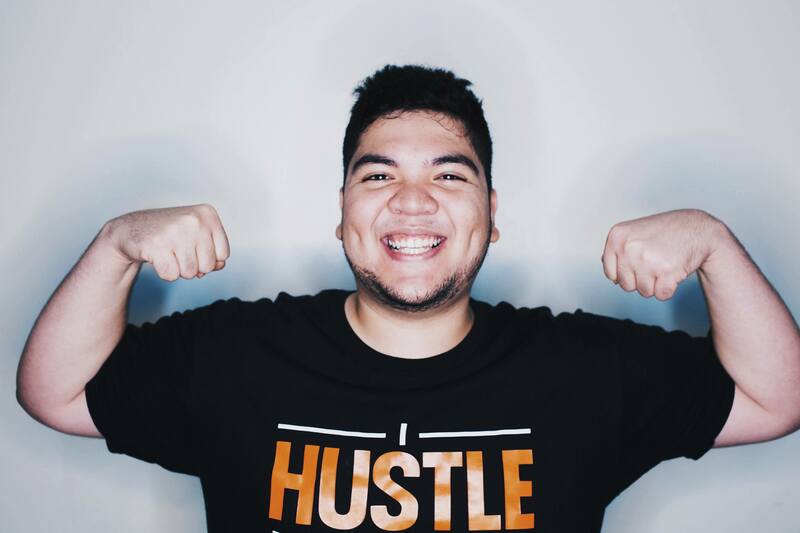 Aside from Social Media Academy, Nix keeps himself busy with his Instagram Marketing agency, SocialSumo. Having just launched a couple of weeks ago, he now has over 5 clients and is scaling fast. Nix also serves as a digital marketing consultant to both enterprise companies and startups in the Philippines. Right now, Nix Eniego is continuously helping their 700+ alumni by delivering exclusive coaching sessions and contents that can be found inside the Social Media All Stars group. He’s gearing up for a massive year-ender for Social Media Academy and his other ventures as well.